The true test of good jazz is its ability to withstand time. Whether it's a decade or a millennium; good music is always refreshing and moving whenever heard. 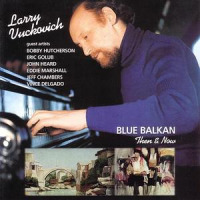 Jazz pianist Larry Vuckovich's recording Blue Balkan was recorded in 1980 and featured world inspired music with a stellar cast of musicians. Critically acclaimed, it was hailed for its diverse talent and global influences. It has recently been re-released with over thirty minutes of new music and still proves to be vibrant and true. Blue Balkan: Then and Now is a contrast of the old and the new that shows the talent cord of Mr. Vuckovich is still as strong as ever. 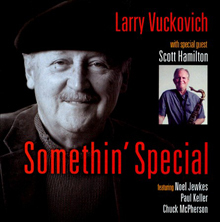 Mr. Vuckovich was born in 1936 in Yugoslavia and his esteemed career has crossed paths with such notables from Mel Torme to Dexter Gordon. His passion and skill have not ebbed, as evident on this new release. The recording features music with heavy world influences from Europe, Africa, and the Middle East. With exotic rhythms and upbeat tempos, the listener is treated to a global jam session. 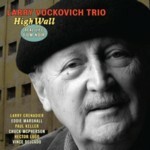 Vuckovich is a skilled pianist with a classic sound that is seasoned with jazz and blues. His diverse background and strong chops display that he can swing hard, play with style and grace one moment, and get down and dirty with the blues, the next. The listener may be moved to do the Tango on the beautiful selection "Mediterranean Nights," or may emerge at a late Harlem nightclub, on the killer blues cut "After Hours." His diverseness and influences thrive on the new composition "Motherless Child/O Javore" which blends an African American spiritual with a Serbian Folk song. Comparisons with the old and the new recordings reveal an effort to continue the original's vision. The recording features dynamic musicianship with stellar soloists Bobby Hutcherson and Tommy Kesecker on vibes and marimba, and Eric Golub on violin. The rhythm section is as tight as ever with the new members. In contrast the new recording is seamless in its style, high quality, and musicianship. 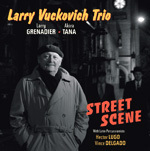 It delivered the same message then and continues to convey the unique jazz interpretations of Mr. Vuckovich.